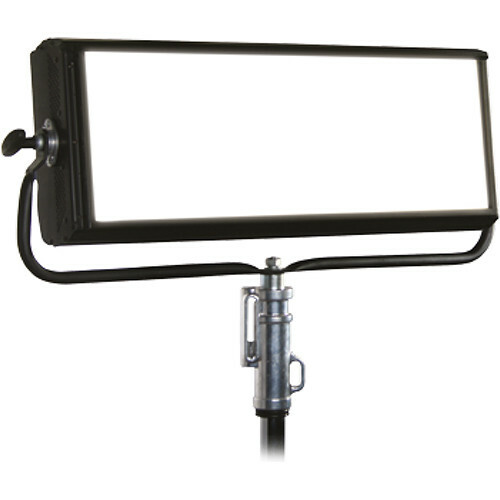 The SoftLED 8 360W DMX Phosphors Tungsten Panel from DeSisti is a flicker-free system with universal power supply unit 90 to 240V to work in every condition and frame rate. The DMX (or local) control of the light features intensity from 0 to 100% with smooth transition and theatrical quality dimming. The thermal stabilization of the LED operating temperature is managed by an internal thermal sensor and CPU. Furthermore, the variable fan speed and heat sink maintains the LED at optimal constant temperature. Do not overload the daisy chain.